Flying back to New York from a meeting in Toronto last week, a lovely yet very chatty older woman in the next seat asked me about my experience during Hurricane Sandy. With offices in several cities and clients across the country, I fly quite frequently, so I must preface this discussion with the disclaimer that, in my mind, in-flight small talk is like turbulence. I'd rather it not happen; but if it does, it should be relatively light and not last too long. I explained that I run a national public relations firm and we are very involved in Sandy-related matters because we have quite a few clients involved in the relief effort in a variety of ways. In addition, members of our staff have been volunteering in communities impacted by the storm, and corporately we have both given and raised money for individuals close to the DKC family who were directly impacted. Picking up on my mention of volunteerism, the woman explained that she had lived in New York City for 40 years and was doing church-related work in Manhattan when the blackout of 1977 hit. She was astonished at the contrast between the two events from the standpoint of civility, volunteerism, and public order. For those who do not recall the blackout of 1977, a chain of events that began with a lighting strike at an upstate power line plunged most of New York City into darkness for over 24 terrifying and crime-filled hours. The rest of the nation watched televised images of arson fires, widespread looting, and ubiquitous lawlessness demonstrative of a city at its lowest point in a four-decade conversion from an industrialized, manufacturing economy to a service-based center of finance and media. Hurricane Sandy is a vastly different scenario, but my seatmate raised an interesting comparison. The natural devastation brought about by Hurricane Sandy is unlike anything the region has ever experienced. There is simply no shortage of pain and sadness as homes, businesses, tourist destinations, and precious memories were literally washed away, not to mention the horrific stories of the lives lost. However, to her point, unlike 1977, the region has largely held it together from the standpoint of civility, general - albeit not universal - faith in government and singularity of purpose as the region looks to the rebuild for the future. In place of looting and arson, we have seen an outpouring of volunteerism and compassion. There have certainly been tough days, but generally speaking, instead of divisiveness and rioting, we have seen hope amid truly unspeakable devastation and crippling power outages - including one-third of Manhattan - that lasted significantly longer than the 1977 blackout. Certainly socio-economic factors have contributed to the region's handling of and reaction to the two events; and yes, big cities like New York are much safer than they were in the 1970s and 1980s. Looking at crime statistics, there were more than 1,900 murders in New York in 1977. In stark contrast, this year there have been 366 murders in New York City, as of the end of November. But, I argue that social media and mobile technology - and their impact on the way government leaders and public sector officials approach the dissemination of critical news and information - is the most profound singular source of differentiation between the two events. It should come as no surprise to anyone in this industry that I am an active consumer of Twitter. Granted - to the chagrin of many around me - I consume more social media content than I post; but I follow most major news organizations, journalists, and opinion leaders relevant to DKC's business and our clients' varied businesses. It's efficient, insightful, and valuable - nothing anyone reading this doesn't already know. I first used Twitter in the context of disaster preparedness two years ago when vacationing near Cape Cod as Hurricane Irene approached. In advance of the storm, I started following the Massachusetts State Police and governor's Office of Emergency Management as well as the two local papers. The information proved invaluable. It was a constantly updated, efficient, and savable source of very vital information on everything from evacuation notices and shelter locations to road closures and storm updates. Just as importantly, and more relevant to the premise of this discussion, the steady stream of these real-time updates was also psychologically comforting. The constant tweets created a sense that someone was in charge. Government was functioning and on top of things. Social media eroded the perception of an arcane, slow-moving bureaucracy stereotypically associated with government interaction. The tremendous benefits of social media played out spectacularly during Hurricane Sandy. Governors Andrew Cuomo and Chris Christie as well as Mayors Michael Bloomberg and Cory Booker and their subordinate agencies did a remarkable job of staying active on social media. This resulted in two major accomplishments and should be looked at as a case study of government communications during a major disaster. Social media delivered massive amounts information in the timeliest fashion, even to those who were without power but could charge a mobile device via a car battery or generator – or in Manhattan at any restaurant or ATM vestibule north of 39th Street. Anecdotally, more than 60% of DKC's staff resides in areas that were without power for anywhere from five to ten days, yet we had 100% connectivity via mobile phones and PDAs. It produced a sentiment of singular accountability. Cuomo, Christie, Bloomberg, and Booker used social media – as well as traditional media – to project that government was in charge and not an entrenched bureaucracy. In times of crisis, creating a sense of singular accountability is the most important thing a leader can do. Singular accountability drives functionality among government agencies, faith in leadership and - critically in times of disaster – a projection of hope to the public. Social media was a valuable communications tool, but its impact on government communications runs even deeper. Beyond the tactical implications of being able to deliver news and information quickly and efficiently, the digitally-fueled acceleration of the news cycle forced public affairs professionals to communicate more frequently and more directly across all forms of media. As a result, strong government leaders now know they need to be visible all the time. Please do not confuse my lauding of government's use of social media and communications in general with an argument that everything went smoothly from the standpoint of service delivery. A sizable percentage of Long Island was without power for 10 days or more. New Jersey Transit and the PATH system are still not running at 100%. The damage to our infrastructure and the tremendous gaps in getting vital services restored has been – and will continue to be – a subject covered in great detail. However, these failures lend credibility to the argument that effective communications from our government leaders helped maintain public order during an extremely challenging time. Certainly there was violence and anger as families sat homeless or powerless for days on end just as the season turned colder. And many of those families are just at the beginning of what will be a very long recovery process. However, the strong leadership by our elected officials – who were constantly communicating to the New York and New Jersey region – kept a major natural disaster with significant, protracted infrastructure and societal consequences from devolving into a similar scene of chaos reminiscent of the Blackout of 1977. 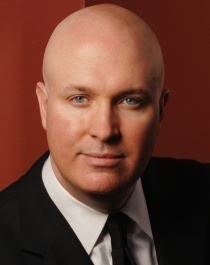 Sean F. Cassidy is president of DKC Public Relations, Marketing, & Government Affairs.